1. F. Scott Fitzgerald, 1925. Numero Uno—“In my younger and more vulnerable years my father gave me some advice that I’ve been turning over in my mind ever since. parcelled out unequally at birth. marshes but after a certain point I don't care what it's founded on. abortive sorrows and short-winded elations of men. hardware business that my father carries on today. thought, in the spring of twenty-two. arrived than I, stopped me on the road. conviction that life was beginning over again with the summer. knew. And I had the high intention of reading many other books besides. and more than forty acres of lawn and garden. It was Gatsby's mansion. proximity of millionaires--all for eighty dollars a month. instance he'd brought down a string of polo ponies from Lake Forest. legs apart on the front porch. man of thirty with a rather hard mouth and a supercilious manner. capable of enormous leverage--a cruel body. him with some harsh, defiant wistfulness of his own. politely and abruptly. "We'll go inside." fragilely bound into the house by French windows at either end. whip and snap of the curtains and the groan of a picture on the wall. young women ballooned slowly to the floor. disturbed her by coming in. in the world she so much wanted to see. That was a way she had. She hinted in a murmur that the surname of the balancing girl was Baker. exhibition of complete self sufficiency draws a stunned tribute from me. exciting things hovering in the next hour. and how a dozen people had sent their love through me. night along the North Shore." irrelevantly, "You ought to see the baby." and rested his hand on my shoulder. Daisy and then back at me, as if he were alert for something more. "I'd be a God Damned fool to live anywhere else." started--it was the first word she uttered since I came into the room. with a series of rapid, deft movements stood up into the room. pantry, "I'm absolutely in training." a glass. "How you ever get anything done is beyond me." me from the room as though he were moving a checker to another square. fingers. "In two weeks it'll be the longest day in the year." year and then miss it." table as if she were getting into bed. "All right," said Daisy. "What'll we plan?" She turned to me helplessly. a great big hulking physical specimen of a----"
nervous dread of the moment itself. "Civilization's going to pieces," broke out Tom violently. 'The Rise of the Coloured Empires' by this man Goddard?" we don't look out the white race will be--will be utterly submerged. It's all scientific stuff; it's been proved." unthoughtful sadness. "He reads deep books with long words in them. What was that word we----"
interrupted her by shifting heavily in his chair. things that go to make civilization--oh, science and art and all that. seized upon the momentary interruption and leaned toward me. about the butler's nose. Do you want to hear about the butler's nose?" some people in New York that had a silver service for two hundred people. lingering regret like children leaving a pleasant street at dusk. forward again, her voice glowing and singing. absolute rose. Doesn't he?" She turned to Miss Baker for confirmation. table and excused herself and went into the house. excitedly, and then ceased altogether. "You mean to say you don't know?" said Miss Baker, honestly surprised. voice sang "----It's romantic, isn't it, Tom?" after dinner I want to take you down to the stables." telephone immediately for the police. its deep gloom we sat down side by side on a wicker settee. sedative questions about her little girl. "We don't know each other very well, Nick," she said suddenly. "Even if we are cousins. You didn't come to my wedding." and I'm pretty cynical about everything." I said when she was born. Would you like to hear?" convinced way. "Everybody thinks so--the most advanced people. And I KNOW. I've been everywhere and seen everything and done everything." laughed with thrilling scorn. "Sophisticated--God, I'm sophisticated!" my belief, I felt the basic insincerity of what she had said. distinguished secret society to which she and Tom belonged. ceiling. "Time for this good girl to go to bed." but what it was I had forgotten long ago. you out to sea in a boat, and all that sort of thing----"
run around the country this way." "Did you give Nick a little heart to heart talk on the veranda?" crept up on us and first thing you know----"
engaged to a girl out West." a flower-like way. "We heard it from three people so it must be true." in her head. As for Tom, the fact that he "had some woman in New York"
was really less surprising than that he had been depressed by a book. sturdy physical egotism no longer nourished his peremptory heart. his of our local heavens. he had vanished, and I was alone again in the unquiet darkness.
" F. Scott Fitzgerald, The Great Gatsby; Chapter I, 1925: http://gutenberg.net.au/ebooks02/0200041.txt. Numero Dos—“Dear Alex,Here are some thoughts on Paul Sweezy. There is no doubt that Paul was the leading Marxian economist in the United States, and probably the world, during his lifetime. Certainly he was the most widely recognized and respected. In my view, he made four major intellectual/political contributions. 1. His book, Theory of Capitalist Development (first published, I believe in 1942), was an extraordinarily cogent explanation of the economics of Karl Marx, in particular the main themes of Capital. Paul went through all the basic issues, starting with the labor theory of value, and getting all the way to the falling rate of profit. However, this was not merely a work of exegesis–of collecting and assembling quotes. Paul presented a clear and fair treatment of Marx, but he also developed some ideas of his own. Perhaps most important, Paul was critical of the falling rate of profit explanation of economic crisis in Marx–and that criticism was all the more powerful because Paul presented Marx’s arguments in such a clear way. But Paul went further than criticism: he also developed the underconsumptionist strains in Marx’s writings, which were not as well developed in Capital as the falling rate of profit arguments. No doubt, Sweezy was strongly influenced by the pull of JM Keynes in developing the underconsumptionist arguments in Marx. Keynes said the macroeconomic problem of capitalism was effective demand–and that was the cause of the 1930s depression. Sweezy saw this point coming out of Marx, and well before Keynes. [By the way, Keynes himself acknowledged Marx, along with some obscure people, like Silvio Gessel, as predating him with an underconsumptionist perspective]. I will come back to this Marx/Keynes connection in Sweezy. But the main thing on Theory of Capitalist Development is that it was a classic, incredibly clear, exposition of Marxian economics. It remains today the first place I would send a student who wants to get the basics of Marx in a serious, but still totally accessible way. 2. The next big book was, of course, Monopoly Capital, written with Paul Baran, though Baran died before they finished the manuscript. This book tried, and succeeded in many ways, to bring Marxism alive for its time. It was not another exposition of Marxian economics per se, and it did not use Capital in an orthodox way. It was trying to capture the spirit of Marxism in an era of giant corporations and big government capitalism. It focused on the U.S., deliberately, in the way Marx focused on England in Capital-as the most important and advanced capitalist economy. It was also written with the 1930s depression and 1940s war-induced amazing recovery as the background. Thus, Sweezy and Baran hypothized about a “tendency of surplus to rise” rather than the profit rate to fall. Surplus would rise because big corporations had monopolistic pricing power, and so they could extract surplus both from non-monopolistic elements of the U.S. economy, and from less developed countries, which at the time included everyone. The fundamental problem to the internal logic of this system was then, what they termed “surplus absorption”-who was going to buy the things that the corporations could produce? This is how they linked up the issue of big government and imperialism with the functioning of the monopolistic capitalist model. They said military spending was necessary to buy up the surplus product; and thus we needed the cold war, and imperialism, to prevent the economy from again lapsing into depression. Here again you see the links with Keynesianism, and with the obviously powerful experience of coming out of the depression: the only thing that brought us out of the depression being, obviously, massive deficit spending to pay for the war. And here is where the idea of military Keynesianism becomes very clear. I would add though that the idea of military Keynesianism was first articulated clearly by Kalecki in his great short paper “The Political Aspects of Full Employment”. Paul acknowledged his debt to Kalecki many times. He also said that Monopoly Capital was heavily influenced by Josef Steindl’s book, Maturity and Stagnation in American Capitalism. In any case, Paul was indeed trying to synthesize Marxism with aspects of Keynesianism, as well as the theory of monopoly. This latter connection also made lots of sense, since Paul himself, in an earlier incarnation, had made a major contribution to the theory of monopoly pricing, a topic to which I’ll return below. 3. The third major intellectual and political contribution by Paul was, of course, his creating Monthly Review, and serving as its co-editor for 50 years. I mentioned this contribution third, but I don’t mean to place it third. It is probably first in terms of overall influence and as a measure of Paul’s lifelong dedication to the left. However, it is also true that Monthly Review would not have had anything close to the stature it enjoyed had Paul not also been the author of Theory of Capitalist Development and Monopoly Capital. Monthly Review was hugely important, in my view, in sustaining a serious Marxian left that was talking about real things, and not wandering into either cult-like Marxology or over academic trivia. It was also important in maintaining a focus on political economy as central to Marxism, just as Karl himself meant it to be. Monthly Review did also spawn something like what Paul and Harry liked to call “The Monthly Review school.” I would say the most important stream of that school of thought was its perspective on imperialism and underdevelopment. It was connected to what became known as the “dependency school”-the view that the third world was underdeveloped because of the system of dependency that was created by imperialism. The Monthly Review version of this approach was more infused with a Marxist spirit, but it was basically in this strain of thought. Certainly Andre Gunder Frank and Harry Magdoff was major thinkers here, as well as Paul himself. But the main thing with Monthly Review wasn’t so much the specific things that were in it, but rather that it existed and it kept going, all through the dark McCarthy period. It then was a touchstone for the left as the 1960s burst out. This leads me to what I think was a fourth major contribution by Paul, starting really in the 1970s. 4. This fourth contribution was the work Paul was doing with Harry Magdoff, beginning in the late 1960s and continuing through the 1970s and 1980s, of documenting the emerging form of capitalism that has now become ascendant-the increasing role of finance in the operations of capitalism. This has been termed “financialization”, and I think it’s fair to say that Paul and Harry were the first people on the left to notice this and call attention. They did so with their typical cogency, command of the basics, and capacity to see the broader implications for a Marxist understanding of reality. I myself was heavily influenced by this work when I was a graduate student. Indeed, I got my idea for my dissertation after I read a Review of the Month by them called “Debt and the Business Cycle.” They were writing such things when, at the same time, the New School itself didn’t even have a field in financial economics-since most of the people thought this was for the bourgeoisie to figure out on their own. The connection with Schumpeter is very interesting. Schumpeter clearly admired Sweezy greatly. And remember, at the time, with the exception of Keynes, Schumpeter was probably the most prestigious economist in the world. Schumpeter wrote this massive history of thought book, which went far beyond what anyone else had attempted, at least in terms of length, called History of Economic Analysis. The number of references to Paul Sweezy in the index of that book are quite substantial. I would guess Sweezy was in the top 10-15 in terms of references-and that’s pretty good when you are talking about the whole history of economic analysis, including everyone. And this was before Sweezy had done Monopoly Capital. Now Schumpeter goes on to explain what he really means when he gives these answers. And in both cases, I think he was heavily influenced by his relationship with Paul. Can Capitalism survive? He said no because he said capitalism breeds intellectual freedom, people with critical minds. And it was only inevitable that this spirit would breed powerful minds who would turn their guns on the deficiencies of capitalism itself. No doubt, he had Sweezy in mind here-since here was Sweezy, the smartest young economist at Harvard, from a ruling class family, becoming a Marxist before Schumpeter’s own eyes. Then on the question of socialism. Schumpeter says it will succeed, in that it will be workable, though it will be cumbersome and bureaucratic, if more egalitarian than capitalism. And how will it even work at that level? Because the brilliant thinkers who have grown dissatisfied with the crassness and injustices of capitalism will also rise to the top in a socialist society, and make it function decently well. And again, who else could he have had in mind here but Paul, his student and protégé? Anyway, I once asked Paul about this theory of mine. He didn’t dismiss it, but of course, he was too modest to claim it was entirely true. He told me, “well there were lots of people around then and Schumpeter was just picking up the spirit of the time.” Yes, true, but no doubt, Sweezy embodied that spirit for Schumpeter more fully and powerfully than anyone else. On his Harvard career-again I think before he became a Marxist, Paul and some other graduate students put together a small book called, I think “A Program for American Democracy.” It was a clear exposition of how to implement a Keynesian demand stimulus program for the fighting the depression. My understanding was that it had some significant influence at the time it came out-Kindleberger, for example, cites it in his history of the Depression. Let me finally give a few personal thoughts. I may be the only person in the world who can make this claim: outside of high school, the first book I ever read in economics was Monopoly Capital, and the first teacher of economics I ever had was Paul Sweezy. In my first semester at the New School, spring of 1975, I took Paul’s course titled “Reading and Using Capital.” As you can imagine, I was totally pumped to be taking a course on Marx’s Capital from the person universally acknowledged as the leading Marxist economist in the world at the time. When I met with the student advisor my first day there, I told him I felt like I would be taking a course on the Civil War taught by Abraham Lincoln. Anyway, the advisor-Ron Blackwell, who is now a leading official of the AFL-CIO-told me that “Paul Sweezy isn’t really a Marxist but a Keynesian.” I didn’t know enough to have any idea what Ron meant by that. I have subsequently come to understand the comment. In fact, there is a lot of Keynes in Sweezy-as I mentioned before, with respect to both Theory of Capitalist Development and Monopoly Capital. This was a powerful synthesis he was attempting, while still retaining the basic spirit and commitments of Marxism. There was a fever pitch at the New School when the course began. On the first day, probably 400 people or so showed up, and you couldn’t get into the room. The next class, you had to show your proof of enrollment to get into the class, as another 400 showed up. However, things calmed down very quickly once we really got into things. Paul was an amazingly clear and committed teacher. But he definitely wasn’t into any kind of theatre of teaching or histrionics. So the course rapidly thinned down to 30-40 people who really wanted to hear Paul expound on Marx. Among the students-though he didn’t come every time-was Daniel Ellsberg. I noticed this person one day just sitting there in class, taking notes on the lecture, like everyone else. This of course was at the very height of Ellsberg’s fame. I said to another student something like, “Isn’t that weird. That guy over there looks exactly like Daniel Ellsberg.” Ellsberg heard me say that, and just walked over to me, stuck out his hand, and said, “Hi, Dan Ellsberg.” Then we started talking about the class. He said he didn’t agree with Sweezy or Marx, because the Marxian tradition doesn’t give enough weight to spiritual and religious impulses in understanding human behavior, or something to that effect. Anyway, it was a very interesting discussion. Ellsberg was perfectly happy to mix it up with the students, and try to learn from the great Sweezy. Another more trivial thing about Paul then that we students joked about was the way he dressed. He had these two loud short-sleeved shirts-one I think was orange and the other one was blue. He seemed to wear these shirts on alternating days-as though he knew which loud shirt to wear according to the day of the week. We would say, ‘it’s a good thing he has on his blue shirt today. Otherwise, we might be going over the material from last week’s class.’ The general point is this: Paul was completely unadorned, completely without pretension, and paid not the slightest bit of attention to how he dressed. Which brings up another point. Paul was legendarily handsome in his younger years, and apparently the attraction for women remained powerful. Some evidence: Paul Samuelson himself wrote about it, in an article in Newsweek called, I believe, ‘When Gods Strode The Earth.’ Samueulson was writing about a debate at Harvard between Schumpeter and Sweezy in the midst of the Depression, when Samuelson was a student there. In the article, as I recall, Sweezy, not Schumpeter, was ‘the God’–he was so smart, so rich, so handsome, and so Marxist. He apparently made mincemeat of the great Schumpeter, debating the most burning issue of the time. More evidence: In the mid 1980s I was at a small weekend retreat sponsored by MR. I happened to be talking to woman professor at the conference, Patricia Fernandez-Kelly (used to be at Johns Hopkins, not sure if she’s still there). Anyway, I noticed that she broke off our conversation and became transfixed for almost a full minute. She then turned back to me and said, ‘Look at Sweezy. He is so beautiful.’ And this is when Paul was in his mid seventies. So, you asked for thoughts of all kinds and you’ve got them. Paul was an amazingly great man. I could also give you some criticisms, both of his work and his politics. But at the moment these would seem totally trivial and petty.” Robert Pollin, “He Was an Amazingly Great Man;” Counterpunch (about Paul Sweezy): http://www.counterpunch.org/2004/03/06/quot-he-was-an-amazingly-great-man-quot/. Numero Tres—“Walker Evans (1903-1975) is considered the best American documentary photographer of the twentieth century. His photographs of sharecroppers in Depression-era Alabama appeared in the book, Let Us Now Praise Famous Men, published in 1941 with text by writer and journalist James Agee. Although he spent only a few weeks of his life in the state, his Alabama photos represent Evans’s most famous and perhaps finest work. 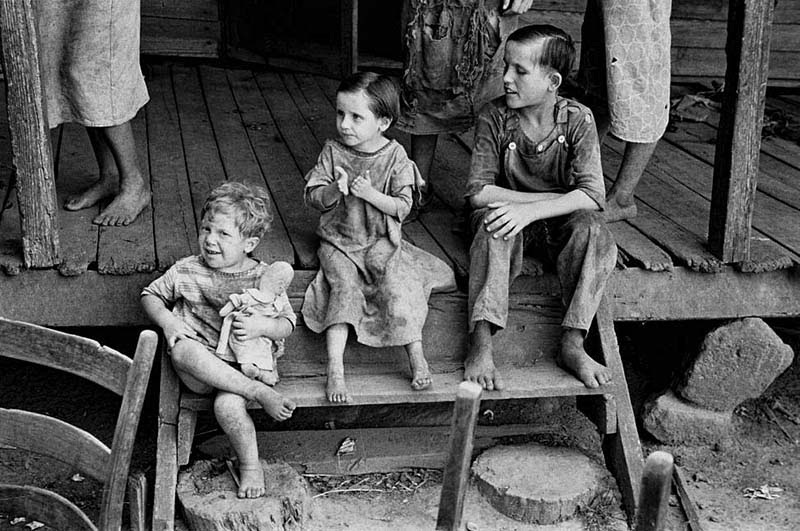 Evans’s Alabama photographs have become iconic images of the Great Depression era and gave a personal face to an overlooked segment of American society. ‘rural subjects’ in other parts of the state, but his interest was often drawn to more whimsical images that did not always follow the FSA mission and mandate. 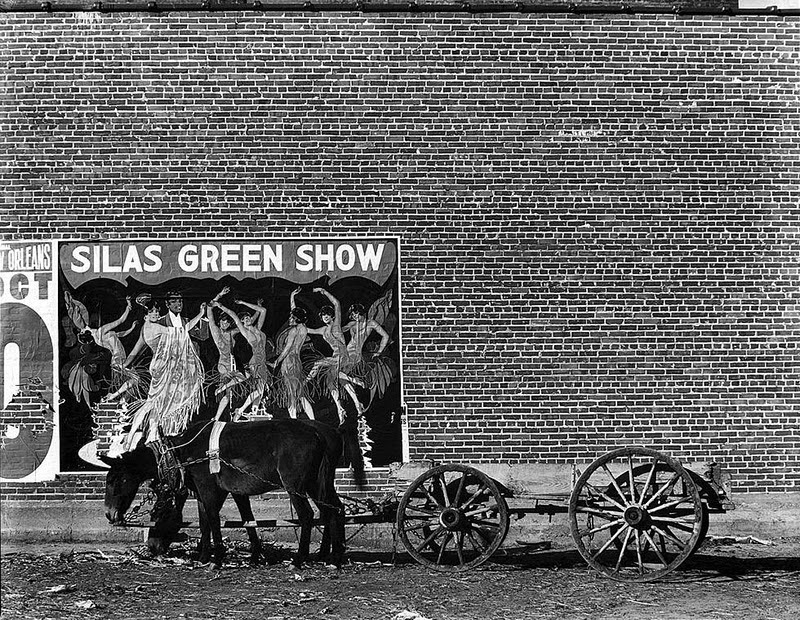 For example, some of his most memorable Alabama photographs from the period include pictures of festive and fading posters for traveling circuses and theatrical troupes. Evans and Agee spent several weeks in Hale County gathering and documenting material about the three families. Agee stayed for a time in the tiny farmhouse of one family, but Evans stayed in a nearby hotel. The black-and-white photographs he took for the Fortune assignment are straightforward and powerful. The portraits are a stark and memorable document of the earnest, proud, and straightfoward farm families of the region. 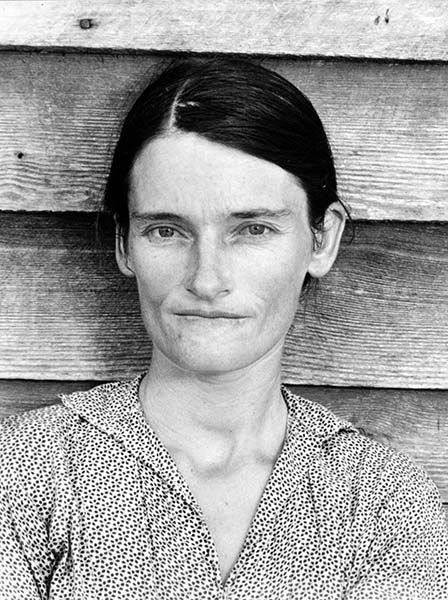 Two of the most commonly reproduced examples, “Floyd Burroughs, Sharecropper, 1936” and “Allie Mae Burroughs, Wife of a Sharecropper, 1936,” present the viewer with an image of forthright dignity. Evans’s photographs of the farmhouses themselves achieve an enduring power through their masterful framing and composition. 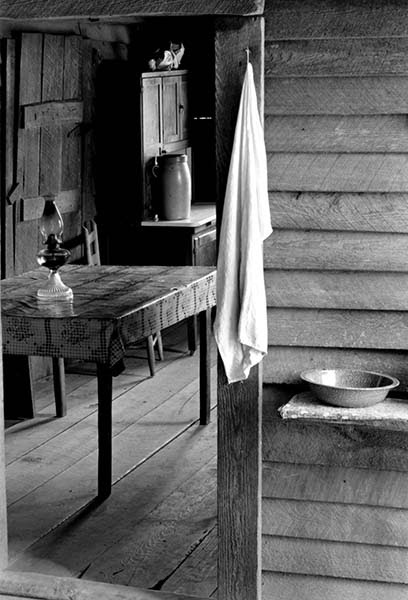 In “Kitchen, Burroughs Home, 1936,” for example, the monotony of the bare plank floors and walls is punctuated by simple necessities: a bowl on a shelf, a plain towel hanging from a nail, a plain wooden table covered with patterned oilcloth, a kerosene lantern, a chair, a pantry with a large churn on its shelf, bright sunlight from an unseen window. Fortune never published Agee’s article, but the book, Let Us Now Praise Famous Men, appeared finally in 1941. Agee’s epic text was complemented by a portfolio of 31 of Evans’s photographs. The book, especially the photographs, received respectful reviews, but only 600 copies were sold after the initial publication. However, Evans’s Alabama photographs soon developed a life of their own. In 1938, New York’s Museum of Modern Art mounted an exhibition titled “Walker Evans: American Photographs,” and the Alabama photographs were included in the exhibition and in the show’s catalog. In 1960, a second edition of Let Us Now Praise Famous Men was published, with an expanded portfolio of 62 Evans images. The re-issue brought Evans’s work to a whole new audience and earned him enthusiastic new appreciation. That same year, Evans married Isabelle Boeschenstein von Steiger. By 1965, he had left Fortune and become a professor of graphic design at Yale University in New Haven, Connecticut. He was internationally regarded as a grand master of American photography. His work and publications continued to gather a wide and appreciative following with each generation. Evans retired from Yale in 1972. His second marriage ended in divorce the following year. In 1973, Evans returned to Hale County for the first time since 1936. On this brief visit, he traveled with Alabama-born artist William Christenberry, whose own photographic work was greatly influenced by the 1960 re-issue of Let Us Now Praise Famous Men. This time, Evans photographed in color using a simple Polaroid SX-70 camera. Some of the 1973 Alabama photographs by Evans were included in a touring exhibition of the photography of Evans and Christenberry organized by the Amon Carter Museum of Fort Worth, Texas, in 1990. An exhibition catalog, Of Time and Place, was published the same year. Walker Evans suffered a massive stroke and died in New Haven, Connecticut, on April 10, 1975, at age 71. 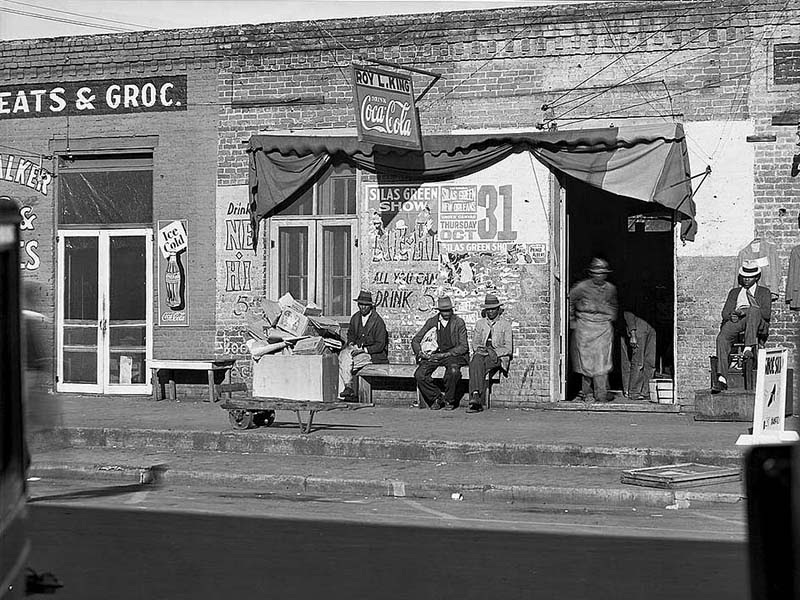 Evans’s images of the state and its people remain an important commentary on life in Depression-era Alabama and on the character of the people who endured it.” Edward Journey, “Walker Evans;” The Encyclopedia of Alabama, 2008: http://www.encyclopediaofalabama.org/article/h-1813. Numero Cuatro—“The South is easy to find but hard to sort out, and it is full of paradoxes. Once, I was talking Southern fiction with William Styron and he said, ‘I come from the High South’—he was from Virginia, and he was mildly boasting. Like many writers who had left the South to find a life in the North, he often talked fondly about the region that had formed him. Many Indian shopkeepers, duka-wallahs, whom I knew in East and Central Africa, claimed Broach as their ancestral home, where the Patel surname identifies them as members of a Gujarati, primarily Hindu subcaste. And Mr. Patel’s convenience store in Allendale was identical to the dukas in East Africa, the shelves of food and beer and cheap clothes and candy and household goods, the stern hand-lettered sign, No Credit, the same whiff of incense and curry. A 1999 story in the New York Timesmagazine by Tunku Varadarajan declared that more than 50 percent of all motels in the United States are owned by people of Indian origin, a statistic supplied by the Asian American Hotel Owners Association—and the figure is even greater now. And this was why Wilbur Cave, seeing the area where he grew up falling to ruins—its very foundations conducing to dust—decided to do something to improve it. Wilbur had been a record-breaking runner in his high school, and after graduation from the University of South Carolina in Columbia, worked locally and then ran for the state representative’s seat in this district. He was elected and served for more than four years. He became a strategic planner, and with this experience he joined and re-energized the nonprofit Allendale County Alive, which helps provide decent housing to people. The town itself had a population of 4,500, three-quarters of them black, like the county. I remarked on how recently social change had come to the South. Without realizing it, only smiling and tapping a ballpoint on the desktop blotter, he sounded like one of the wise, admonitory Southern voices in a Faulkner novel, reminding the Northerner of the complex past. The small cotton farms were sold eventually to bigger growers, who introduced mechanical harvesters. That was another reason for the unemployment and the decline in population. But farming was still the mainstay of Allendale County, home to 10,000 people, 36 percent of whom lived below the poverty line. Once, there had been textile factories, making cloth and carpets. They’d closed, the manufacturing outsourced to China, though a new textile plant is scheduled to open. The lumber mills—there were two in Allendale, turning out planks and utility poles—did not employ many people. Wilbur drove me through the back streets of Allendale, and as we passed along the side roads, the lanes, the dirt paths on which there were two-room houses, some of them fixed up and painted, others no more than wooden shanties of the sort you might see in any third world country, and some shotgun shacks that are the emblematic architecture of Southern poverty. “My feeling is—if South Carolina is to change, we have to change the worst,” Wilbur said as we passed a small, weathered house of sun-blackened planks and curling shingles, an antique that was beyond repair. But a man had lived in it until just recently, without electricity or heat or piped water. I said I was and he took me on a short drive to the edge of town, to a diner, O’ Taste & See, sought out for its soul food, fried chicken and catfish, biscuits, rice and gravy, fruit pies and friendliness. With accommodations scarce in sunny, desolate Allendale—most of the motels abandoned or destroyed—I drove up Route 301, the empty, glorious thoroughfare, 45 miles to Orangeburg. It was a small town, kept buoyant by revenue from its schools and colleges. Walking along the main street, I fell into step with a man and said hello. And I received the glowing Southern welcome. He wore a dark suit and carried a briefcase. He said he was a lawyer and gave me his card, Virgin Johnson Jr., Attorney at Law. I asked about the history of the town, just a general inquiry, and received a surprising answer. Massacre is a word that commands attention. This bloody event was news to me, so I asked for details. And he told me that Orangeburg was still segregated in 1968 in spite of the fact that the Civil Rights Act had been in force for four years. A bowling alley, the only one in town, refused to allow black students inside. One day in February ’68, objecting to being discriminated against, in the bowling alley and elsewhere, several hundred students held a demonstration at the campus of South Carolina State College across town. The event was noisy but the students were unarmed, facing officers from the South Carolina Highway Patrol, who carried pistols and carbines and shotguns. Alarmed by the jostling students, one police officer fired his gun into the air—warning shots, he later said. Hearing those gunshots, the other police officers began firing directly at the protesters, who turned and ran. Because the students were fleeing they were shot in the back. Three young men were killed, Samuel Hammond, Delano Middleton and Henry Smith; 27 were injured, some of them seriously, all of them students, riddled with buckshot. Before I went on my way I remarked on how odd it was to me to be holding this conversation with someone I’d met by chance, simply asking directions on a public street. I was grateful for his taking the time with a stranger who had so many questions. The back roads from Orangeburg to Sycamore were empty on this Sunday morning—empty and beautiful, passing along the margins of more twiggy cotton fields, many of them puddled and muddy, the ripe tufts (the linty so-called “locks”) in open bolls sodden and the bushes beaten down by yesterday’s rain. Rev. Johnson’s church was the large industrial-looking structure near Barker’s Mill and the flag-draped meetinghouse of the Sons of Confederate Veterans. At the church a group of older men, formally dressed in suits, welcomed me and introduced themselves as deacons and ushers. After the preliminaries—music, singing—when the church was full, the familiar dark-suited figure of Virgin Johnson Jr. rose from his high-backed, thronelike chair. He began to preach, a well-thumbed Bible in his right hand, and his left hand raised in admonition. Thirty minutes of his warm encouragement, and then the music began again in earnest and the whole church was rocked in song. Still in his dark suit, he sipped his iced tea. This was another man speaking, not the excited Sycamore preacher, not the shrewd Orangeburg trial lawyer, but a quiet, reflective private citizen in a back booth at Ruby Tuesday, reminiscing about his life as a loner. “The day I hit that bus everything changed. Sixth grade—it changed my life. I lost all my friends, black and white. No one talked to me, no one at all. Even my white friends from home. I knew they wanted to talk to me, but they were under pressure, and so was I. I sat at the back of the bus. When I went to the long table for lunch, 30 boys would get up and leave. “The funny thing is, we were all friendly, black and white. We picked cotton together. My daddy and uncle had a hundred acres of cotton. But when I got on the bus, it was over. I was alone, on my own. “I learned at an early age you have to stand by yourself. That gave me a fighting spirit. I’ve had it since I was a child. It’s destiny. What happens when you let other people make your decisions? You become incapable of making your own decisions. “I was the first African-American to go to law school from my side of the county. University of South Carolina at Columbia. I was in a class of 100—this was in the ’80s, I was the only black person. Passed the bar in 1988. Got a license to preach. Greensboro, Alabama, less than 40 miles south of Tuscaloosa, lies under the horizon in a green sea of meadows and fields, a small, pretty, somewhat collapsed and haunted town. Up the road from Greensboro, around Moundville, lies the farmland and still-substandard houses where James Agee and Walker Evans spent a summer collecting material for the book that would become Let Us Now Praise Famous Men. Published in 1941, it sold a mere 600 copies. Its commercial failure contributed to Agee’s heavy drinking and early death at the age of 45. Twenty years later, it was republished, and in the early 1960s, it found many more readers and admirers. Cherokee City in the book is Tuscaloosa, Centerboro is Greensboro, the subject of some of Evans’ photographs, and where I was eventually headed. Greensboro was beautiful—hardly changed architecturally since Agee’s visit in 1936—but it was struggling. Randall knew all the readers roundabout. He gave talks—on Agee, on Eudora Welty, on the English writers he loved (he spent a few months in London almost every year), on historical figures such as Ben Franklin. He knew the writers, too. “Perhaps you could introduce me,” I said. When I came to Marion, I realized how moribund Greensboro was. The shops in Marion were still in business, Marion had a courthouse, and a military institute, and Judson College, which Mary T (she insisted on the name) had attended. There were bookstores in Marion and a well-known soul food restaurant, Lottie’s. Coretta Scott King had been raised in Marion, and voting rights activist Jimmie Lee Jackson had been shot and killed by an Alabama state trooper in the town in 1965 during a peaceful protest, a catalyzing event in the civil rights movement that provoked the protest marches from Selma to Montgomery. After five miles of fields, he said, “This must be Hamburg,” and a white bungalow appeared, and on the porch—we had called ahead—Mary T and a much younger woman, wearing an apron. “Is Ozella with her?” Randall said, trying to see. He explained that Ozella was the daughter of a previous housekeeper. Ozella was standing closely next to Mary T, who was tiny, watchful, like a bird on a branch, and smiling in anticipation. Very old and upright people have a dusty glow that makes them seem immortal. “My father built this house in 1927,” Mary T said, when I praised the house. It was a modest two-story bungalow, but squat and solid, fronted by the bulging porch, a dormer above it, so unlike the shotgun shacks and rectangular houses we’d passed at the edge of Marion. Inside, the walls were paneled in dark wood, a planked ceiling, an oak floor. Like Randall’s house it was filled with books, in the bookcases that were fitted in all the inner rooms and upstairs. Mary T opened a bottle of blueberry wine from a winery in Harpersville, and though it was a warm noontime, a fly buzzing behind the hot white curtains in the small back dining room, we stood and clinked schooners of the wine and toasted our meeting—the ancient Mary T, the nearly blind Randall and myself, the traveler, passing through. Something about the wood paneling, the quality of the curtains, the closeness of the room, the sense of being in the deep countryside holding a glass of wine on a hot day—it was like being in old Russia. I said so. The sunny day, the bleakness of the countryside, the old bungalow on the narrow road, no other house nearby; the smell of the muddy fields penetrating the room—and that other thing, a great and overwhelming sadness that I felt but couldn’t fathom. Mary T cut a crumbly slab and divided it among us, and I kept thinking: This could only be the South, but a peculiar and special niche of it, a house full of books, the dark paintings, the ticking clock, the old furniture, the heavy oak table, something melancholy and indestructible but looking a bit besieged; and that unusual, almost unnatural, tidiness imposed by a housekeeper—pencils lined up, magazines and pamphlets in squared-up piles—Ozella’s hand, obvious and unlikely, a servant’s sense of order. In Fanning the Spark (2009), a selective, impressionistic memoir, Mary T had told her story: her upbringing as a rural shopkeeper’s daughter; her becoming a writer late in life—she was 61 when she published her first short story. It is a little history of surprises—surprise that she became a writer after so long, a period she called “the 25-year silence”; surprise that her stories found favor; surprise that her stories won awards. Setting her glass of wine down on the thick disk of coaster, she said, “I’m hungry for catfish”—the expression of appetite a delight to hear from someone 95 years old. She put on a wide-brimmed black hat the size, it seemed, of a bicycle wheel, and a red capelike coat. Helping her down the stairs, I realized she was tiny and frail; but her mind was active, she spoke clearly, her memory was good, her bird-claw of a hand was in my grip. And all the way to Lottie’s diner in Marion, on the country road, she talked about how she’d become a writer. At last we were rolling down Marion’s main street, Washington Street, then past the military academy and the courthouse, and over to Pickens Street, the site of Mack’s Café—the places associated with the shooting of Jimmie Lee Jackson. We came to Lottie’s. I parked in front and eased Mary T out of the passenger seat and into the diner. People seated at their meals looked up from their food as Mary T entered, and many of them recognized her and greeted her. Though Mary T was moving slowly, she lifted her hand to greet them. Randall began to talk about the changes in the South that he knew. What will happen here? I asked. And I reminded myself that she’d been born in 1917. She had been in her teens during the Depression. She was only seven years younger than James Agee, and so she had known the poverty and the sharecroppers and the lynchings in the Black Belt. After, I dropped her at her remote house, the sun lowering into the fields, she waved from the porch. I dropped Randall in Greensboro. I hit the road again. The following week Mary T sent me an email, remarking on something I’d written. I wrote again in the following days. I received a brief reply, and then after a week or so, silence. Randall wrote to say that Mary T was ill and in the hospital; and then, about a month after we met, she died. Most travel narratives—perhaps all of them, the classics anyway—describe the miseries and splendors of going from one remote place to another. The quest, the getting there, the difficulty of the road is the story; the journey, not the arrival, matters, and most of the time the traveler—the traveler’s mood, especially—is the subject of the whole business. I have made a career out of this sort of slogging and self-portraiture, travel writing as diffused autobiography; and so have many others in the old, laborious look-at-me way that informs travel writing. But traveling in America is unlike traveling anywhere else on earth. It is filled with road candy, and seems so simple, sliding all over in your car on wonderful roads. Driving south, I became a traveler again in ways I’d forgotten. Because of the effortless release from my home to the road, the sense of being sprung, I rediscovered the joy in travel that I knew in the days before the halts, the checks, the affronts at airports—the invasions and violations of privacy that beset every air traveler. All air travel today involves interrogation. Around the corner from Main Street in Greensboro, Alabama, tucked into a brick building he’d financed himself, was the barbershop of the Rev. Eugene Lyles, who was 79. He was seated at a small table peering at the Acts of the Apostles, while awaiting his next customer. In addition to his barbershop, Rev. Lyles was a pastor at the Mars Hill Missionary Baptist Church just south of town, and next door to the barbershop, Rev. Lyles’ soul food diner, nameless except for the sign “Diner” out front. Marking the page in his Bible, and shutting it, then climbing onto one of his barber chairs and stretching his long legs, he said, “When I was a boy I bought a pair of clippers. I cut my brothers’ hair. Well, I got ten boy siblings and three girl siblings—fourteen of us. I kept cutting hair. I started this business 60 years ago, cutting hair all that time. And I got the restaurant, and I got the church. Yes, I am busy. And slavery is still a visitable memory because of the persistence of its effects. “I went to segregated schools. I grew up in the countryside, outside Greensboro, ten miles out, Cedarville. Very few whites lived in the area. I didn’t know any whites. I didn’t know any whites until the ’60s, when I was in my 30s. “Most of the land in Cedarville was owned by blacks. There was a man, Tommy Ruffin, he owned 10,000 acres. He farmed, he had hands, just like white folks did, growing cotton and corn. He was advised by a white man named Paul Cameron not to sell any of that land to a white person. Sell to blacks, he said, because that’s the only way a black man can get a foothold in a rural area. We went next door to Rev. Lyles’ diner. I ordered baked chicken, collard greens, rice and gravy. Rev. Lyles had the same. His younger brother Benny joined us. “Lord,” Rev. Lyles began, his hands clasped, his eyes shut, beginning grace. At the edge of County Road 16, ten miles south of Greensboro, an old white wooden building stood back from the road but commanded attention. It had recently been prettified and restored and was used as a community center. Julius Rosenwald, the son of German-Jewish immigrants, made a success of his clothing business by selling to Richard Sears, and in 1908 became president of Sears, Roebuck, and Co. In midlife his wish was to make a difference with his money, and he hatched a plan to give his wealth to charitable causes but on a condition that has become common today: His contribution had to be met by an equal amount from the other party, the matching grant. Convinced that Booker T. Washington’s notion to create rural schools was a way forward, Rosenwald met the great educator and later began the Rosenwald Fund to build schools in backlands of the South. Five thousand schools were built in 15 states beginning in 1917, and they continued to be built into the 1930s. Rosenwald himself died in 1932, around the time the last schools were built; but before the money he had put aside ran its course, in 1948, a scheme had been adopted through which money was given to black scholars and writers of exceptional promise. One of the young writers, Ralph Ellison, from Oklahoma, was granted a Rosenwald Fellowship, and this gave him the time and incentive to complete his novel Invisible Man (1952), one of the defining dramas of racial violence and despair in America. Rosenwald fellowships also went to the photographer Gordon Parks, the sculptor Elizabeth Catlett (who later created Ellison’s memorial in New York City), W.E.B. DuBois, Langston Hughes and many other black artists and thinkers. The schools built with Rosenwald money (and local effort) were modest structures in the beginning, two-room schools like the one in Greensboro, with two or at the most three teachers. They were known as Rosenwald Schools but Rosenwald himself discouraged naming any of them after himself. As the project developed into the 1920s the schools became more ambitious, brick-built, with more rooms. One of the characteristics of the schools was an emphasis on natural light through the use of large windows. The assumption was that the rural areas where they’d be built would probably not have electricity; paint colors, placement of blackboards and desks, even the southerly orientation of the school to maximize the light were specified in blueprints. The simple white building outside Greensboro was a relic from an earlier time, and had the Rev. Lyles not explained its history, and his personal connection, I would have had no idea that almost 100 years ago a philanthropic-minded stranger from Chicago had tried to make a difference here. “The financing was partly the responsibility of the parents,” Rev. Lyles told me. “They had to give certain stipends. Wasn’t always money. You’ve heard of people giving a doctor chickens for their payment? That’s the truth—that happened in America. Some were given corn, peanuts and other stuff, instead of cash money. They didn’t have money back in that day.” Rev. Lyles, who came from a farming family, brought produce his father had grown, and chickens and eggs. I thought I had misheard the date. Surely this was impossible. I queried the date. A corner shop on Main Street in Greensboro was now called PieLab, a café associated with HERO and well known locally for its homemade fruit pies, salads and sandwiches. The next day, quite by chance, having lunch at PieLab, I met the executive director of HERO (and the founder of its Housing Resource Center), Pam Dorr. 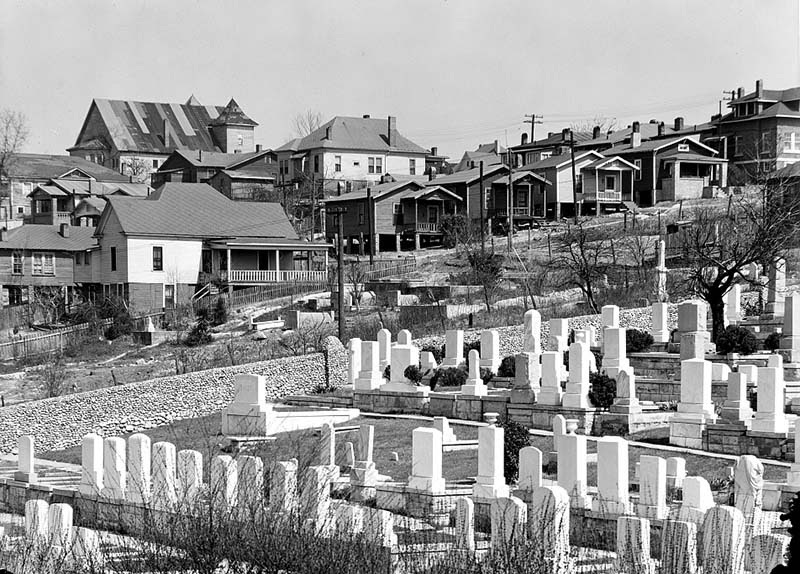 The more appealing of the skeletal, fading towns in the South attracted outsiders, in the way third world countries attracted idealistic volunteers, and for many of the same reasons. With a look of innocence and promise, the places were poor, pretty and in need of revival. They posed the possibility of rescue, an irresistible challenge to a young college graduate or someone who wanted to take a semester off to perform community service in another world. These were also pleasant places to live in—or at least seemed so. Hearing about the Auburn Rural Studio, Pam Dorr had traveled from San Francisco to Greensboro ten years before to become an Auburn Outreach fellow. It was a break from her successful career as a designer for popular clothing companies, including Esprit and the Gap and Victoria’s Secret (“I made cozy pajamas”). She had come to Greensboro in a spirit of volunteerism, but when her fellowship ended, she was reluctant to leave. “I realized there was so much more I could do,” she told me at the PieLab, which grew out of an entrepreneurial group she was in. Another idea, to make bicycle frames out of bamboo, resulted in Hero Bikes, one of the businesses Pam has overseen since starting the Housing Resource Center in 2004. “We build houses, we educate people on home ownership, and working with nontraditional bankers we help people establish credit.” Local banks had a history of lending mainly to whites. Blacks could get loans but only at extortionate rates—27 percent interest was not uncommon. Some of these businesses were now housed in what had been a hardware store and an insurance agency. They had redeveloped or improved 11 of the defunct stores on Main Street. She was like the most inspired and energetic Peace Corps volunteer imaginable. Upbeat, full of recipes, solutions and ideas for repurposing, still young—hardly 50—with wide experience and a California smile and informality. The way she dressed—in a purple fleece and green clogs—made her conspicuous. Her determination to effect change made her suspect. “What does the town think of your work?” I asked. “So who’s against you?” I said. “Plenty of people seem to dislike what we’re doing,” Pam said. She rocked in her clogs and zipped her fleece against the chilly air. “Lots of opposition.” She laughed, saying this. “Lots of abuse. They call me names.” Once, she said, someone spit on her. Hardly a town or a village, Money, Mississippi (pop. 94), was no more than a road junction near the banks of the Tallahatchie River. There, without any trouble, I found what I was looking for, a 100-year-old grocery store, the roof caved in, the brick walls broken, the facade boarded up, the wooden porch roughly patched, and the whole wreck of it overgrown with dying plants and tangled vines. For its haunted appearance and its bloody history it was the ghostliest structure I was to see in the whole of my travels in the South. This ruin, formerly Bryant’s Grocery and Meat Market, has topped the list of Mississippi Heritage Trust’s “Ten Most Endangered Historic Places,” though many people would like to tear it down as an abomination. What happened there in the store and subsequently, in that tiny community, was one of the most powerful stories I’d heard as a youth. As was so often the case, driving up a country road in the South was driving into the shadowy past. A “Mississippi Freedom Trail” sign in front of it gave the details of its place in history. It was part of my history, too. I was just 14 in 1955 when the murder of the boy occurred. He was exactly my age. But I have no memory of any news report in a Boston newspaper at the time of the outrage. We got the Boston Globe, but we were subscribers to and diligent readers of family magazines, Life for its photographs, Collier’s and the Saturday Evening Post for profiles and short stories, Look for its racier features, Reader’s Digest for its roundups. This Victorian habit in America of magazines as family entertainment and enlightenment persisted until television overwhelmed it in the later 1960s. In January 1956, Look carried an article by William Bradford Huie, “The Shocking Story of Approved Killing in Mississippi,” and it appeared in a shorter form in the Reader’s Digest that spring. I remember this distinctly, because my two older brothers had read the stories first, and I was much influenced by their tastes and enthusiasms. After hearing them excitedly talking about the story, I read it and was appalled and fascinated. Emmett Till, a black boy from Chicago, visiting his great-uncle in Mississippi, stopped at a grocery store to buy some candy. He supposedly whistled at the white woman behind the counter. A few nights later he was abducted, tortured, killed and thrown into a river. Two men, Roy Bryant and John William “J.W.” Milam, were caught and tried for the crime. They were acquitted. “Practically all the evidence against the defendants was circumstantial evidence,” was the opinion in an editorial in the Jackson Daily News. After the trial, Bryant and Milam gloated, telling Huie that they had indeed committed the crime, and they brazenly volunteered the gory particularities of the killing. Milam, the more talkative, was unrepentant in describing how he’d kidnapped Emmett Till with Bryant’s help, pistol-whipped him in a shed behind his home in Glendora, shot him and disposed of the body. “Let’s write them a letter,” my brother Alexander said, and did so. His letter was two lines of threat—We’re coming to get you. You’ll be sorry—and it was signed, The Gang from Boston. We mailed it to the named killers, in care of the post office in Money, Mississippi. The killing prompted a general outcry in the North, and my brothers and I talked of little else for months. Yet there was limited response from the authorities. The response from the black community in the South was momentous—“Till’s death received international attention and is widely credited with sparking the American Civil Rights Movement,” the commemorative sign in front of the Bryant store said—and the response was unusual because it was nonviolent. On December 1 of that same year of the Till trial, 1955, in Montgomery, Alabama, Rosa Parks refused to surrender her seat to a white passenger on a city bus. She was arrested for her act of disobedience, and she became a symbol of defiance. Her stubbornness and sense of justice made her a rallying point and an example. Though the Jackson Daily News editorialized that it was “best for all concerned that the Bryant-Milam case be forgotten as quickly as possible,” the paper also had published a robust piece by William Faulkner. It was one of the most damning and gloomiest accusations Faulkner ever wrote (and he normally resisted the simplifications of newspaper essays), and his anguish shows. He must have recognized the event as something he might have imagined in fiction. He wrote his rebuttal hurriedly in Rome while he was on an official junket, and it was released through the U.S. Information Service. Nowhere in the piece did Faulkner use Emmett Till’s name, yet anyone who read it knew whom he was speaking about. Forget him, the Jackson paper had said, but on the contrary the case became a remembered infamy and a celebrated injustice; and Emmett Till was eulogized as a hero and a martyr. Suppression of the truth is not merely futile but almost a guarantee of something wonderful and revelatory emerging from it: creating an opposing and more powerful and ultimately overwhelming force, sunlight breaking in, as the Till case proved. Near the ghostly ruin of Bryant’s store, I walked around in the chill air—no one outside on this winter day. I drove east down Whaley Road, past Money Bayou and some narrow ponds, hoping to find Dark Ferry Road and the farm of Grover C. Frederick, where the little house of Emmett’s great-uncle, Mose Wright, had stood, where he’d worked as a sharecropper and where the boy stayed during his visit. But my map didn’t help, and there was no one to ask, and some parts of the past had been erased, but negligible parts. Night was falling when I drove back to Money, the same sort of darkness into which Emmett Till had been dragged. The next day I visited the Emmett Till museum in nearby Glendora, in a forbidding former cotton gin. Oxford, where Faulkner had lived and died, was the university town of Ole Miss. Off well-traveled Route 278, the town vibrated with the rush of distant traffic. There is hardly a corner of this otherwise pleasant place where the whine of cars is absent, and it is a low hum at Rowan Oak, Faulkner’s house, which lies at the end of a suburban street, at the periphery of the campus and its academic splendors. The road noise struck an odd and intrusive note because, though Oxford resembles “Jefferson” in Faulkner’s work, the town and its surroundings are in all respects as remote from Faulkner’s folksy, bosky, strife-ridden, plot-saturated and fictional Yoknapatawpha County as it is possible to be. The town is lovely. The university is classically beautiful in the Greek Revival Southern style, of columns and bricks and domes, suggesting a mood both genteel and scholarly, and backward-looking. And for a century this esteemed and vividly pompous place of learning clung to the old ways—segregation and bigotry among them, overwhelming any liberal tendencies. So, here is an irony, one of the many in the Faulkner biography, odder than this self-described farmer living on a side street in a fraternity-mad, football-crazed college town. Faulkner—a shy man but a bold, opinionated literary genius with an encyclopedic grasp of Southern history, one of our greatest writers and subtlest thinkers—lived most of his life at the center of this racially divided community without once suggesting aloud, in his wise voice, in a town he was proud to call his own, that a black student had a right to study at the university. The Nobel Prize winner stood by as blacks were shooed off the campus, admitted as menials only through the back door and when their work was done told to go away. Faulkner died in July 1962. Three months later, after a protracted legal fuss (and deadly riots afterward), and no thanks to Faulkner, James Meredith, from the small central Mississippi town of Kosciusko, was admitted, as its first black student. Fair-minded, Faulkner had written in Harper’s magazine: “To live anywhere in the world today and be against equality because of race or color is like living in Alaska and being against snow.” But he asked for a gradual approach to integration, and, as he wrote in Life magazine, he was against the interference of the federal government—“forces outside the south that would use legal or police compulsion to eradicate that evil overnight.” We’ll do it ourselves, in our own time, was his approach; but, in fact, nothing happened until the federal government—the South’s historical villain—intervened. Restless when he was not writing, always in need of money, Faulkner traveled throughout his life; but Oxford remained his home, and Rowan Oak his house, even when (it seems) a neighborhood grew up around the big, ill-proportioned farmhouse previously known as “the Bailey Place.” He renamed it Rowan Oak for the mythical powers of the wood of the rowan tree, as the docents at the house helpfully explained to me. This street—orderly, bourgeois, well-tended, tidy, conventional—is everything Faulkner’s fiction is not and is at odds with Faulkner’s posturing as a country squire. On this road of smug homes, Rowan Oak rises lopsidedly like a relic, if not a white elephant, with porches and white columns, windows framed by dark shutters, and stands of old, lovely juniper trees. The remnants of a formal garden are visible under the trees at the front—but just the symmetrical brickwork of flowerbed borders and walkways showing in the surface of the ground like the remains of a neglected Neolithic site. He was anchored by Oxford but lived a chaotic life; and the surprising thing is that from this messy, lurching existence that combined the asceticism of concentrated writing with the eruptions of binge drinking and passionate infidelities, he produced an enormous body of work, a number of literary masterpieces, some near misses and a great deal of garble. He is the writer all aspiring American writers are encouraged to read, yet with his complex and speechifying prose he is the worst possible model for a young writer. He is someone you have to learn how to read, not someone anyone should dare imitate, though unfortunately many do. Some of Faulkner’s South still exists, not on the land but as a racial memory. Early in his writing life he set himself a mammoth task, to create the fictional world of an archetypical Mississippi county where everything happened—to explain to Southerners who they were and where they’d come from. Where they were going didn’t matter much to Faulkner. Go slowly, urged Faulkner, the gradualist. “We’ll be closing soon,” the docent warned me. I went outside, looked at the brick outbuildings and sheds, a stable and meandered past the plainness of the yard, among the long shadows of the junipers in the slant of the winter sun. From where I stood, the house was obscured by the trees at the front, but still it had the look of a mausoleum; and I was moved to think of Faulkner in it, exhausting himself with work, poisoning himself with drink, driven mad in the contradictions of the South, obstinate in his refusal to simplify or romanticize its history, resolute in mirroring its complexity with such depth and so many human faces—all this before his early death, at the age of 64. No other region in America had a writer who was blessed with such a vision. Sinclair Lewis defined the Upper Midwest, and showed us who we were in Main Street and Elmer Gantry; but he moved on to other places and other subjects. Faulkner stayed put, he achieved greatness; but as a writer, as a man, as a husband, as a delineator of the South’s arcane formalities and its lawlessness, his was a life of suffering. Natchez is dramatically sited on the bluffs above the wide brown Mississippi facing the cotton fields in flatter Louisiana and the town of Vidalia. A small, well-kept city, rich in history and river lore, architectural marvels—old ornate mansions, historic houses, churches and quaint arcades; its downtown lined with restaurants. But none of its metropolitan attributes held much interest for me. The cultural event that got my attention was the Natchez Gun Show at the Natchez Convention Center. It was the main event in town that weekend, and the size of the arena seemed half as big as a football field, with a long line of people waiting to go in. Entering was a process of paying an admission of $7 (“Children 6 to 11, $1”), and, if you had a firearm, showing it, unloading it and securing it with a plastic zip tab. After that lobby business, the arena, filled with tables and booths and stalls, most selling guns, some selling knives, others stacked with piles of ammo. I had never seen so many guns, big and small, heaped in one place—and I suppose the notion that they were all for sale, just lying there waiting to be picked up and handled, sniffed and aimed, provided a thrill. No one on earth—none I had ever seen—is more polite, more eager to smile, more accommodating and less likely to step on your toe, than a person at a gun show. Most of the gun-show goers were just looking, hands in pockets, sauntering, nudging each other, admiring, and this greatly resembled a flea market, but one smelling of gun oil and scorched metal. Yet there was something else in the atmosphere, a mood I could not define. Civil War paraphernalia, powder flasks, Harpers Ferry rifles, spurs, canes, swords, peaked caps, insignia, printed money and pistols—a number of tables were piled with these battered pieces of history. And nearly all of them were from the Confederate side. Bumper stickers, too, one reading, “The Civil War—America’s Holocaust,” and many denouncing President Obama. Some were re-enactors, a man in a Confederate uniform, another dressed in period cowboy costume, looking like a vindictive sheriff, black hat and tall boots and pearl handle pistols. It was not the first gun show I’d been to, and I would go to others, in Southhaven, Laurel and Jackson, Mississippi. In Charleston, South Carolina, I’d seen a table set up like a museum display of World War I weapons and uniforms, as well as maps, books, postcards and framed black-and-white photos of muddy battlefields. This was a commemorative exhibit put on by Dane Coffman, as a memorial to his soldier-grandfather, Ralph Coffman, who had served in the Great War. Dane, who was about 60, wore an old infantryman’s uniform, a wide-brimmed hat and leather puttees, the get-up of a doughboy. Nothing was for sale; Dane was a collector, a military historian and a re-enactor; his aim was to show his collection of belts and holsters, mess kits, canteens, wire cutters, trenching tools and what he called his pride and joy, a machine gun propped on a tripod. Some men were wandering the floor, conspicuously carrying a gun, looking like hunters, and in a way they were, hunting for a buyer, hoping to sell it. One private seller had a 30-year-old weapon—wood and stainless steel—a Ruger .223-caliber Mini-14 assault rifle with a folding stock, the sort you see being carried by sharpshooters and conspirators in plots to overthrow wicked dictatorships. He handed it to me. As I walked away, I heard him mutter, “Goddamn,” not at me but at regulation generally—authority, the background checkers and inspectors and paper chewers, the government, Yankees. And that was when I began to understand the mood of the gun show. It was not about guns. Not about ammo, not about knives. It was not about shooting lead into perceived enemies. The mood was apparent in the way these men walked and spoke: They felt beleaguered—weakened, their backs to the wall. How old was this feeling? It was as old as the South perhaps. The Civil War battles might have happened yesterday for these particular Southerners, who were so sensitized to intruders and gloaters and carpetbaggers, and even more so to outsiders who did not remember the humiliations of the Civil War. The passing of the family plantation was another failure, the rise of opportunistic politicians, the outsourcing of local industries, the disappearance of catfish farms, the plunge in manufacturing, and now this miserable economy in which there was no work and so little spare money that people went to gun shows just to look and yearn for a decent weapon that they’d never be able to buy. Over this history of defeat was the scowling, punitive shadow of the federal government. The gun show was the one place where they could regroup and be themselves, like a clubhouse with strict admission and no windows. The gun show wasn’t about guns and gun totin’. It was about the self-respect of men—white men, mainly, making a symbolic last stand. You hear talk of people fleeing the South, and some do. But I found many instances of the South as a refuge. I met a number of people who had fled the North to the South for safety, for peace, for the old ways, returning to family, or in retirement. At a laundromat in Natchez, the friendly woman in charge changed some bills into quarters for the machines, and sold me some soap powder, and with a little encouragement from me, told me her story. Her name was Robin Scott, in her mid 40s. She said, “I came here from Chicago to save my children from being killed by gangs. So many street gangs there—the Gangster Disciples, the Vice Lords. At first where I lived was OK, the Garfield section. Then around late ’80s and early ’90s the Four Corners Hustlers gang and the BGs—Black Gangsters—discovered crack cocaine and heroin. Using it, selling it, fighting about it. There was always shooting. I didn’t want to stay there and bury my children. I knew Rocky Mount from my drives as a pleasant place, east of Raleigh, off I-95 where I sometimes stopped for a meal. “I had good memories of Enfield. It was country—so different from the Chicago streets. And my mother had a lot of family here in Natchez. So I knew the South was where I could save my kids. I worked at the casino dealing blackjack, but after a time I got rheumatoid arthritis. It affected my hands, my joints and my walking. It affected my marriage. My husband left me. “I kept working, though, and I recovered from the rheumatoid arthritis and I raised my kids. I got two girls, Melody and Courtney—Melody’s a nurse and Courtney’s a bank manager. My boys are Anthony—the oldest, he’s an electrician—and the twins, Robert and Joseph. They’re 21, at the University of Southern Mississippi. “Natchez is a friendly place. I’m real glad I came. It wasn’t easy. It’s not easy now—the work situation is hard, but I manage. The man who owns this laundromat is a good man. “I got so much family here. My grandmother was a Christmas—Mary Christmas. Her brother was Joseph. We called my grandmother Big Momma and my grandfather Big Daddy. I laughed when I saw that movie Big Momma’s House. I mentioned Faulkner’s Light in August and Joe Christmas, and how I’d always found the name faintly preposterous, heavy with symbolism. I told her the plot of the novel, and how the mysterious Joe Christmas, orphan and bootlegger, passes for white but has a black ancestry. Before I could continue with the tale of Lena Grove and her child and the Christian theme, Robin broke in. I was as happy as I had ever been driving in the South. There is a sense of purification that seems to take place in sunshine on a country road, the winking glare in the boughs passing overhead, the glimpses of sky and the stands of trees, wall-like pines in some hollows, enormous oaks and columns of junipers in others, and a fragrance in the air of heated and slightly decayed leaf litter that has the aroma of buttered toast. Oaks and pine trees lined the road for some miles and narrowed it and helped give the impression of this as an enchanted road in a children’s story, one that tempted the traveler onward into greater joy. And it was about that point that the ominous signs began to appear, real signs nailed to trees. For some miles, large, lettered signs were fastened to the thick trunks of roadside trees, their messages in black and red letters on a bright white background. In a church of believers, these sentiments, spoken by a pastor in a tone of understanding, could be a consolation, but painted on a tree in the backwoods of Mississippi they seemed like death threats. In my ignorance, I had believed the Delta to be solely the low-lying estuary of the Mississippi River, roundabout and south of New Orleans, the river delta of the maps. But it isn’t so simple. The Delta is the entire alluvial sprawl that stretches northward of that mud in Louisiana, the flood plain beyond Natchez, emphatically flat above Vicksburg, almost the whole of a bulge west of Mississippi, enclosed in the east by the Yazoo River, all the way to Memphis. It is a definite route, as well; it is Highway 61. I swung through Hollandale, which was just as boarded-up as other places on and off the highway I’d been through, but I heard music, louder as I entered the town. It was a hot late-afternoon, dust rising in the slanting sunlight, the street full of people, a man wailing and a guitar twanging: the blues. When I hesitated, a police officer in pressed khakis waved me off the road, where cars were parked. I got out and walked toward a stage that had been set up against a stand of trees—this was the limit of the town, and a powerful, growly man was singing, backed by a good-sized band. “That’s Bobby Rush,” the police officer said to me as I passed him. A banner over the stage was lettered “Hollandale Blues Festival in Honor of Sam Chatmon.” Stalls nearby were selling fried chicken and corn, ice cream and soft drinks and T-shirts. Bobby Rush was screaming now, finishing his last set, and as he left the stage to great applause from the people—about 200 of them—standing in the dust, another group took the stage and began stomping and wailing. But the music was so loud, so powerful, splitting the air, making the ground tremble, conversation was impossible, and so I stepped to the back of the crowd. As I was walking, I felt a hand on my arm. It was a man in an old faded shirt and baseball cap. “Welcome to Hollandale,” he said. Melvin Willis was born in Hollandale in 1948, and had grown up in segregated Delta schools. (And, alas, in November 2013, some months after I met him, he died of cancer.) He went to college and got a job teaching in York, Alabama, a small town near the Mississippi state line. He had become a high-school principal in York. The music, the crowds, the many cars parked under the trees, the food stalls and the festive air—none of it could mask the fact that, like Rolling Fork and Anguilla and Arcola and other places I’d visited, the town looked bankrupt. The grocery was Sunflower Food Store in the middle of Hollandale, one of the few stores still in business. Roy, like Mayor Willis, was an exuberant booster of Hollandale, and still lived nearby. “One of the great places,” Mayor Willis said. More people joined us—and it was beautiful in the setting sun, the risen dust, the overhanging trees, the children playing, the music, the thump and moan of the blues. “It was a kind of paradise,” Kim said. 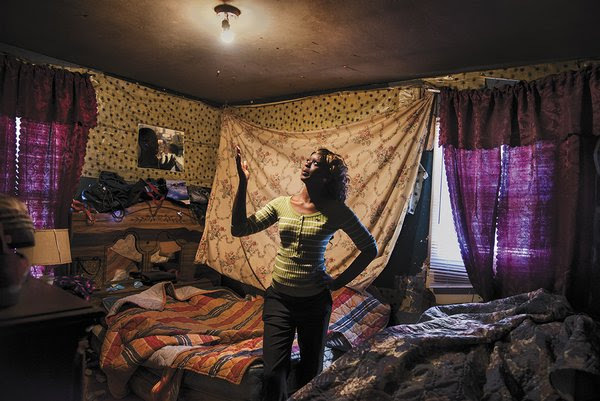 “What you see in the Delta isn’t how things are,” a woman in Greenville, Mississippi, told me. “But they don’t look good,” I said. “They’re worse than they look,” she said. We sat in her office on a dark afternoon, under a sky thick with bulgy, drooping cloud. Scattered droplets of cold rain struck the broken sidewalks and potholed street. I had thought of the Delta, for all its misery, as at least a sunny place; but this was chilly, even wintry, though it was only October. For me, the weather, the atmosphere was something new, something unexpected and oppressive, and thus remarkable. Things are worse than they look, was one of the more shocking statements I heard in the Mississippi Delta, because as in Allendale, South Carolina, and the hamlets on the back roads of Alabama, this part of the Delta seemed to be imploding. “What happened to Nicholson File?” The company made metal files and quality tools, a well-respected brand among builders. “But Greenville is a big town,” I said. I’d been surprised at the extent of it, the sprawl, the downtown, the neighborhoods of good, even grand houses. And a new bridge had been built—one yet to be named—across the Mississippi, just west of the city. “What businesses are still here?” I wondered. “Very few homes get rehabbed. Most are in such bad shape it’s cheaper to tear them down than fix them. A lot are abandoned. There’s more and more vacant lots. “If Greenville happened to be a city in a third world country, there would probably be lots of aid money pouring in. Later, I checked the curriculum of the Mississippi Delta Community College, which was part of this program, and found that they offered courses in brick-laying and tile-setting, automotive mechanics, commercial truck driving, heavy equipment operation, electronics, machine tool expertise, welding, heating and air conditioning, office systems and much else. But there are few jobs. Given the seriousness of the situation, and the blight that was general over the Delta, I wondered aloud why she persevered. “Me? I was meant to be here,” she said. At Hope Credit Union in Greenville, I met Sue Evans, and asked her about the local economy. She gave me helpful replies but when I changed the subject, talked about the musical history of the Delta, the blues, the clubs that had been numerous up and down the Delta, she became animated. “My mother had a blues club in Leland,” Sue said. I had passed through Leland, another farming town on Highway 61, well-known for its blues history. “She was a great gal, my mother—Ruby—everyone knew her.” There were still some clubs, she said. There were blues museums. People came from all over the world to visit these places associated with the blues, and to see the birthplaces and the reference points—the farms, the creeks, the railways, the cotton fields. “I heard that in Indianola there’s a B.B. King museum,” I said. This produced a profound silence. Sue and a colleague of hers exchanged a glance, but said nothing. It was the sort of silence provoked by an unwelcome allusion, or sheer confusion, as though I had lapsed into an unfamiliar language. “He was born there, I understand,” I said, flailing a bit, and wondering perhaps if I had overstayed my visit. Sue had a mute and somewhat stubborn gaze fixed away from mine. It seemed very precise and obscure information. I couldn’t think of anything more to say, and it was apparent that this topic had produced an atmosphere in the room, a vibration that was unreadable, and that made me feel like a clumsy alien. “Shall we tell him?” Sue’s colleague said. “I don’t know,” Sue said. This exchange, a sort of banter, had the effect of lifting the mood, diffusing the vibe. I was writing down Riley. “You traveled with him?” I asked. And for that 15 or 20 minutes there was no blight on the Delta; it was a cheery reminiscence of her decade with B.B. King, the man who’d brought glory to the Delta and proved that it was possible and could happen again. Many Southerners I met asserted—with grim pride, or with sorrow, or misquoting Faulkner—that the South doesn’t change. That’s not true. In many places, the cities most of all, the South has been turned upside-down; in the rural areas the change has come very slowly, in small but definite ways. The poet William Blake wrote, ‘He who would do good to another must do it in Minute Particulars,’ and the Delta farmers I visited, and especially Delores Robinson, were the embodiment of that valiant spirit. She had shaken herself loose from another life to come home with her children, and she seemed iconic in her bravery, on her farm, among friends. It goes without saying that the vitality of the South lies in the self-awareness of its deeply rooted people. What makes the South a pleasure for a traveler like me, more interested in conversation than sightseeing, are the heart and soul of its family narratives—its human wealth.” Paul Theroux, “the Soul of the South;” Smithsonian Magazine, 2014: http://www.smithsonianmag.com/travel/soul-south-180951861/.